I was hoping that the html version would allow the restriction of posts to one category like I can do with the registered subscribers. am I missing somthing? what is happening is that the public subscribers are getting all of the new posts, should only recive one specific category. 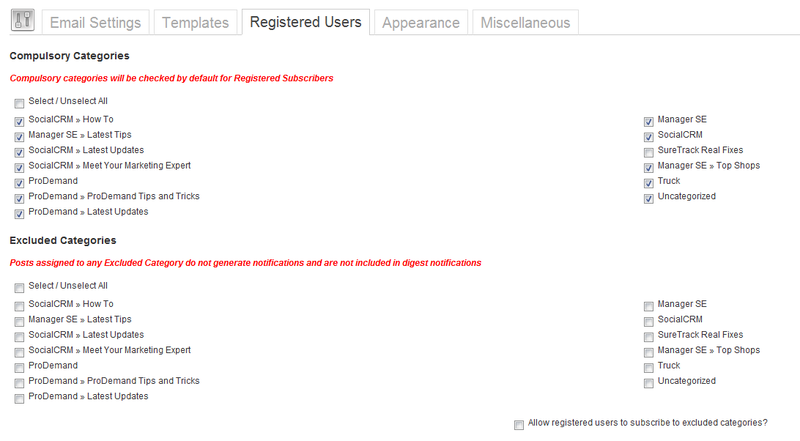 still not getting it, if I want to have both public and registered users recieve only suretrack real fixes category which boxes should be checked or not.